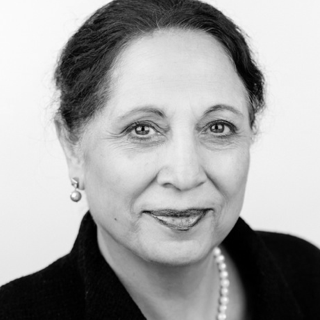 Dr. Geeta Mehta is an adjunct professor of architecture and urban design at Columbia University in New York. She has worked on design projects in India, China, Austria, France, Ukraine, Colombia, Brazil, Jamaica, Ghana and Kenya. She received her education from the School of Planning and Architecture in New Delhi and then Columbia University, and earned her Ph.D. from the University of Tokyo. Geeta co-authored five books on Japanese architecture and design while she lived in Tokyo. Geeta served as the president of the American Institute of Architects’ Japan Chapter in 2009, and currently serves on the board of advisors of Millennium Cities Initiative at the Earth Institute of Columbia University, and the National Association of City Transportation Officials in USA. Geeta is the founder and president of Asia Initiatives, a non-profit organization, where she has developed the concept of Social Capital Credits (SoCCs). This breakthrough virtual currency for social good is currently in use in India, Ghana, Kenya and Costa Rica, incentivizing projects in waste management, tree planting, neighborhood improvements, and river restoration. Geeta is also the co-founder of “URBZ: User Generated Cities”, located in Mumbai, that works with underserved communities to help them transform their neighborhoods by improving public spaces and through art, cultural activism, and home improvements. Geeta was honored as one of the 21 Leaders of the 21st Century by Women’s eNews in 2015.